“More than 37 million Americans at over 3.5 million workplaces participate in Take Our Daughters and Sons to Work Day,” according to a Forbes Magazine article. It’s a type of invaluable role modeling. Best case scenario, exposure to the workplace could spark an interest in a future career or at the very least a kid can see these adults as more than Mom or Dad. Because some things are caught, not taught, in the work environment young people may see who they want to be when they grow up. 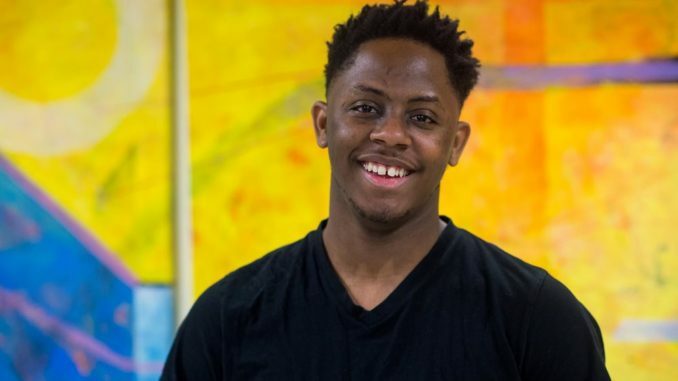 Dominick Smith may not have had college on his mind when his mother brought him along to her evening classes or to the meetings where she served as Student Government Association secretary on Nyack’s New York City campus. Apparently Dominick “caught” the importance of higher education. Today he is completing his junior year as a vocal performance major at his mother’s alma mater. “I was my mom’s shadow,” Dominick says of Landai Barnes, a 2016 social work alumna. Today, with their busy schedules, he says they are more like passing ships, but both are happily pursuing their goals. Landai is currently in Nyack’s M.Div. program at Alliance Theological Seminary; Dominick is absorbed in his passion for music and is currently involved in rehearsals for the School of Music’s concert, “Yesterday, Today, Forever” at David Geffen Hall, Lincoln Center on April 12. While his academic pursuits are a priority, like so many students, Dominick enjoys the sense of community. “It’s like family here. We challenge each other.” His accountability ties make Nyack his home away from home.